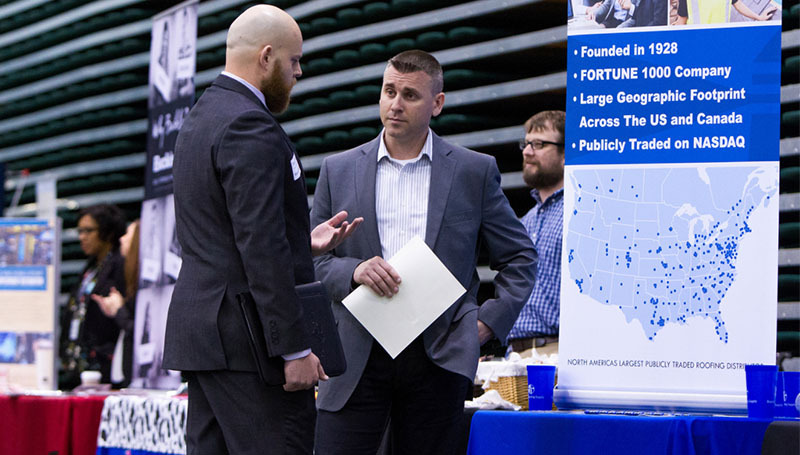 Students and alumni of Missouri Southern State University will have the opportunity to network with more than 115 businesses and organizations during the annual Career Fair, set for 10 a.m. to 2 p.m. Wednesday, April 4, in the Leggett & Platt Athletic Center. Representatives from area employers, graduate schools and other organizations will be on hand to discuss job opportunities and more. The event is open to all MSSU students and alumni.